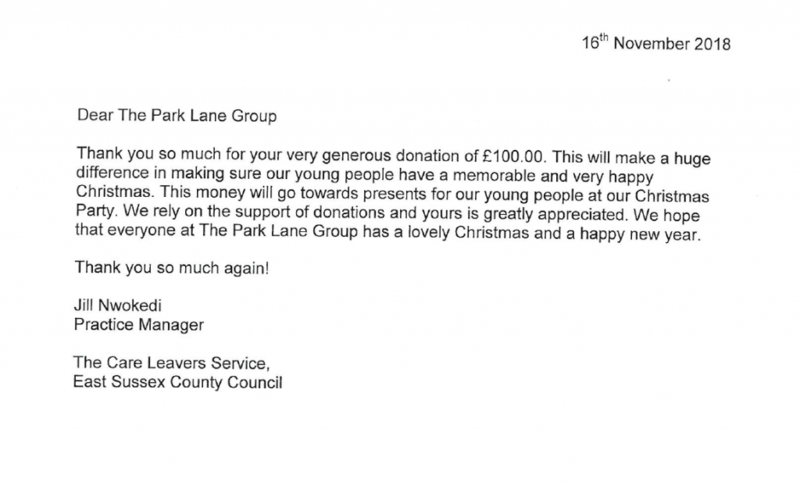 The Park Lane Group were only too happy to help the East Sussex Care Leavers Service with their Christmas party plea. The organisation got in touch with us to ask if we could help with sponsorship for a Christmas party for the young adults they work with. We love gift-giving and are thrilled to hear our donation will help the team buy gifts for everyone attending, and contribute to creating a memorable event. Our best wishes to you all for a fantastic time. Lovely staff - willing to go above and beyond until the end! Sales team exceeded customer service expectations. Would definitely recommend.